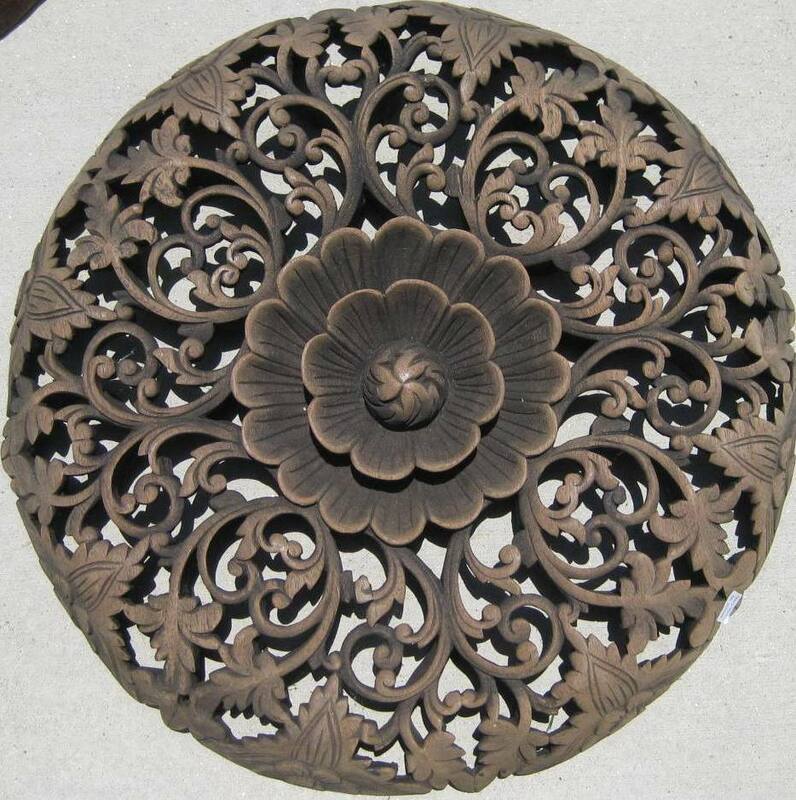 Hand carved Teak Wood Panel 1.5ft in diameter from Thailand. 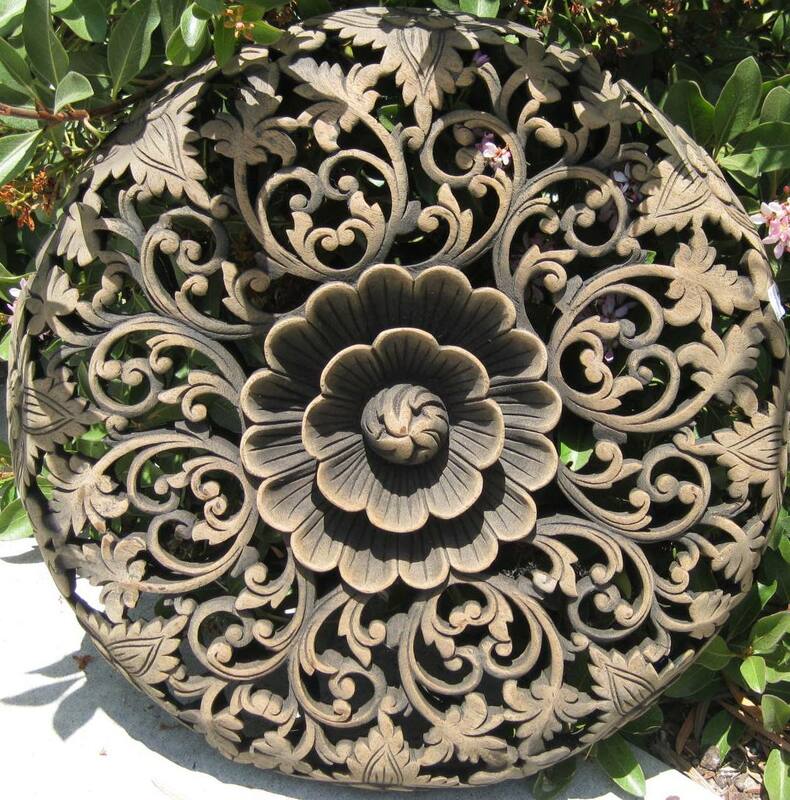 Intricately hand carved with floral details in antique finish. 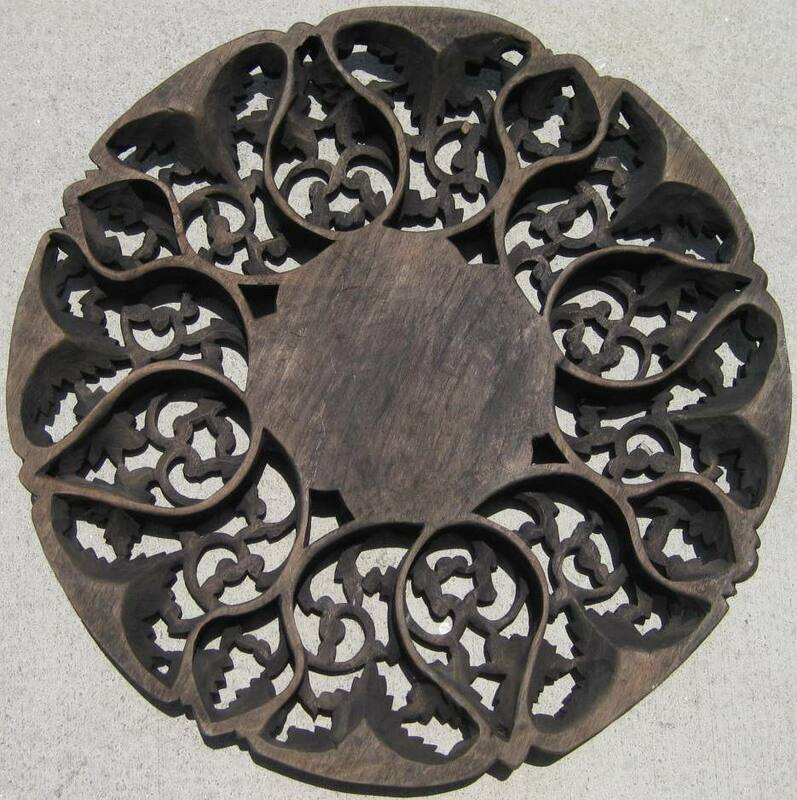 Measures 1.5' in diameter. Weighs approximately 5 lbs.